This is a rectangular flange Egyptian Lacquer porcelain sign. 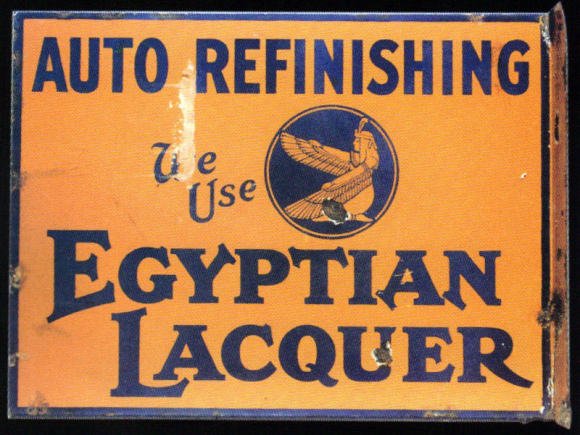 This particular Egyptian Lacquer sign is orange with blue text. It reads, “Auto Refinishing, We Use Egyptian Lacquer” and features a kneeling Egyptian woman in ceremonial dress in the center.